Red Dead Redemption 2 is finally on the way, and Take-Two's CEO promises that Rockstar Games' open-world Western is coming on Oct. 26, 2018. It seems likely that he's telling the truth, too. On June 4, Rockstar Games revealed Red Dead Redemption 2's pre-order bonuses and various deluxe editions. While October isn't quite here yet, eager fans are already set to pre-order Red Dead Redemption 2 before the game launches in the fall. And if you have the money to spend, there's plenty of special goodies to grab. Here's everything you need to know about pre-ordering Rockstar Games' latest title—and how to buy the game on sale, too. Every Red Dead Redemption 2 fan who pre-orders the game will receive two distinct bonuses for the game's Story Mode. 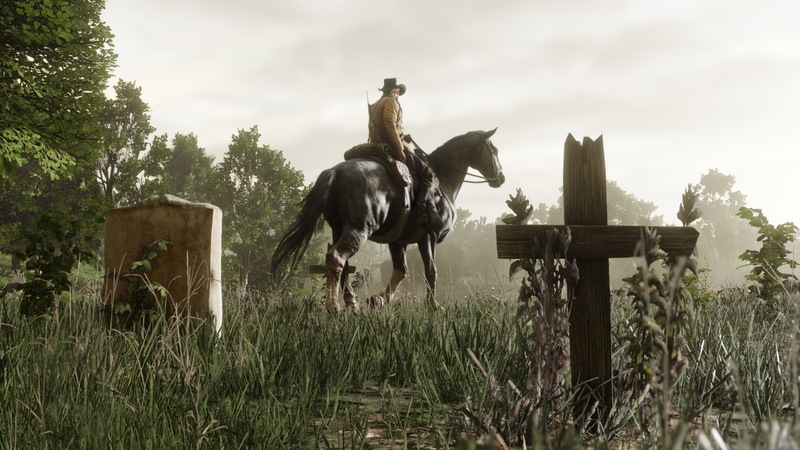 The first bonus is the War Horse, an iron-grey Adrennes War Horse that has "greater courage and stamina than the average steed," according to a press release from Rockstar Games. Expect this horse to maintain better concentration in battle and sustain more gunshot wounds from enemies. The other bonus is the Outlaw Survival Kit, which contains a "collection of key supplies" for Red Dead Redemption 2's Story Mode. This includes items that replenish health and Dead Eye, the game's slow-motion targeting system. Gamers who digitally pre-order Red Dead Redemption 2 on the PlayStation Store or Xbox Store also receive two additional pre-order bonuses alongside the War Horse and Outlaw Survival Kit. Both additions pertain to Story Mode, but one of them is a timed exclusive. All digital pre-orders come with a free cash bonus for Story Mode, giving players enough money to buy food, items, ammunition, and a weapon when they first jump into the game. It's unclear how much money this will translate to in-game, however, and how much money players can spend on other items with the excess cash. On the other hand, Rockstar Games' second digital pre-order bonus is a timed exclusive. The Story Mode Treasure Map lets Arthur Morgan get a start on finding secret buried treasure throughout the in-game map. In order to receive this gameplay bonus, a pre-order must be filed by July 31, 2018. So in this case, pre-order sooner rather than later. Red Dead Redemption 2's digital pre-orders over the PlayStation Store and Xbox Store also receive free cash rewards for Grand Theft Auto V's massively multiplayer mode, GTA Online. Any user who digitally pre-orders Red Dead Redemption 2's Standard Edition will receive $500,000 on GTA Online, whereas pre-ordering the game's Special Edition grants $1 million in GTA$. Meanwhile, players who digitally pre-order Red Dead Redemption 2's Ultimate Edition receive $2 million for GTA Online, giving diehard Rockstar fans plenty of incentive to go ahead and grab the Ultimate Edition for the game. All GTA Online cash bonuses are available through an automatic download on the PlayStation Store. Alternatively, Xbox One users can receive their GTA$ by searching for the respective bonus on the Xbox Store and downloading it. 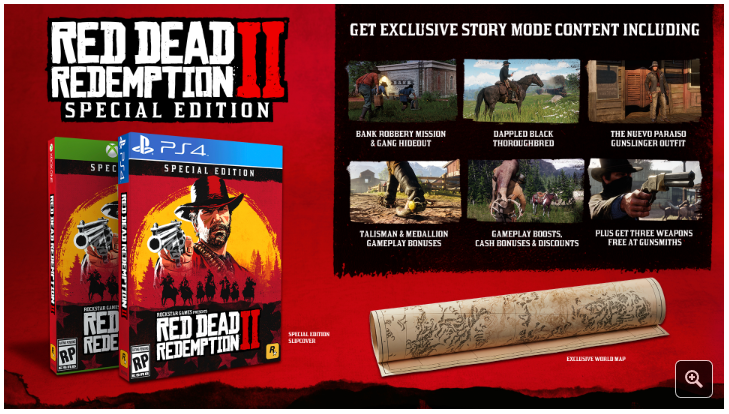 Alongside Red Dead Redemption 2's standard release, the game features two different deluxe editions. 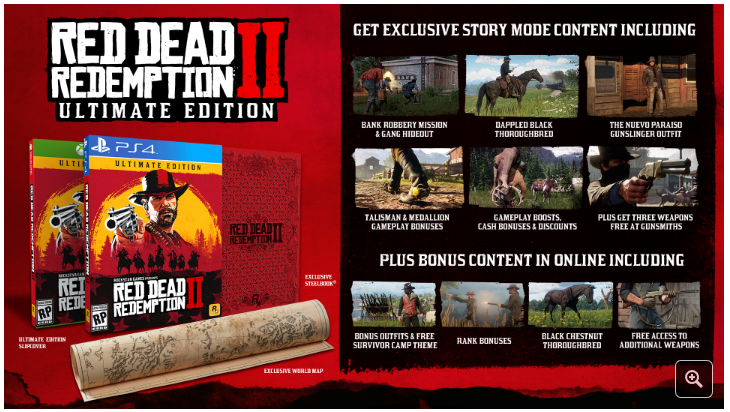 Both versions feature extensive in-game bonuses, with the Ultimate Edition featuring all content packaged with Red Dead Redemption 2's Special Edition. Here's a breakdown for each version. Red Dead Redemption 2: Special Edition features six additional bonus DLC offers for players, with all six perks and add-ons available both digitally and through physical retail stores. 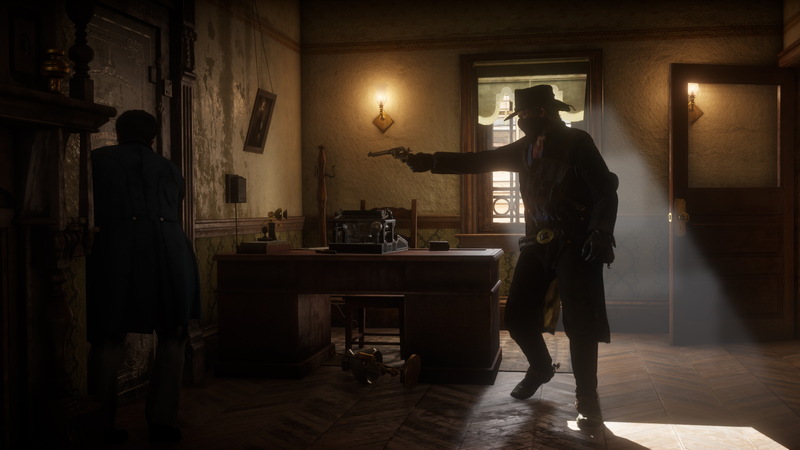 For one, Special Edition players receive exclusive access to a Bank Robbery Mission, which features Arthur Morgan and Dutch's Gang robbing a bank in Rhoes. Another mission, Gang Hideout, has Arthur and his fellow outlaws raiding hacienda controlled by the Del Lobos Gang. Successfully driving them out means plenty of cash for the player and their friends. Red Dead Redemption 2's Special Edition also features the Dappled Black Thoroughbred, a racehorse with "exceptional speed and acceleration," according to Rockstar Games' press release. The thoroughbred comes with an exclusive saddle called the Nuevo Paraiso Saddle, which is "handmade in dark chocolate leather with silver medallion detailing." Both are available for Red Dead Redemption 2's single-player Story Mode. There's also the Eagle Talon Tailsman attached to Arthur Morgan's boot, which makes sure his environmental awareness skill lasts a little longer in-game, and the Special Edition also comes with the Igauna Scale in Athur's satchel, which gives him additional protection from damage while on horseback. 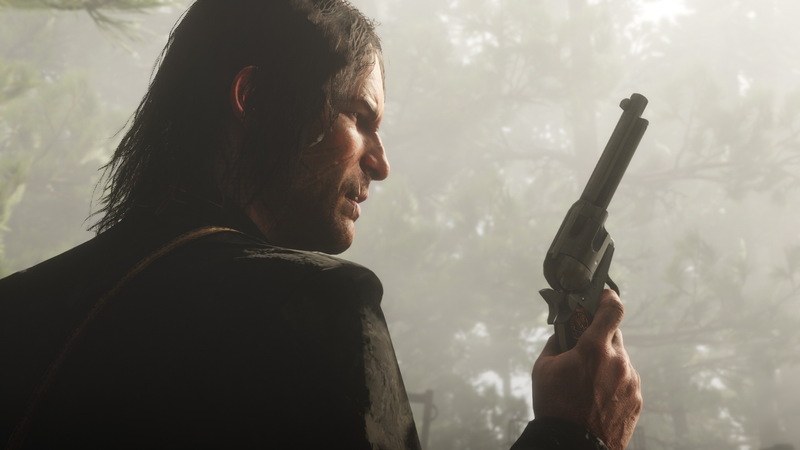 Red Dead Redemption 2's Special Edition also comes with the Core Stat boost to Arthur's Stamina, Health, and Dead Eye, more cash for robbery mission and selling animal carcasses, and an in-game discount on upgrades to Dutch's Gang's camp, which plays an important role as the game's main hub. 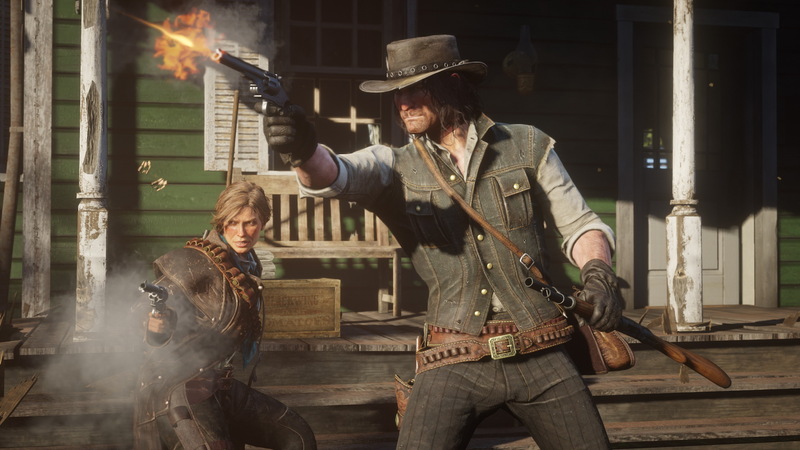 Lastly, the Special Edition features the Nuevo Paraiso Gunslinger outfit and access to additional weapons for free at Gunsmiths throughout Story Mode, including the Volcanic Pistol, the Pump Action Shotgun, and the Lancaster Varmint Rifle. Pre-orders for Red Dead Redemption 2: Special Edition can be placed via the PlayStation Store, the Xbox Store, or the Rockstar Warehouse. Both the PlayStation 4 and Xbox One version are available for $79.99. Pre-orders for Red Dead Redemption 2's Ultimate Edition are now live, and both the game's digital and physical retail editions feature every perk from the game's Special Edition. Instead, Red Dead Redemption 2: Ultimate Edition offers some additional content add-ons for the upcoming game's online mode. For one, the Ultimate Edition features two exclusive bonus outfits for Red Dead Redemption 2's in-game online mode. These include the Blackrose Bounty Hunter Outfit and the Copperhead Enforcer Outfit. There's also the Black Chestnut Thoroughbred available online, along with the exclusive High Plains Cutting Saddle with "jet-black leather" and "gold metal accents." All Ultimate Edition purchases also come with free access to the Volcanic Pistol, Pump Action Shotgun, and Lancaster Varmint Rifle for online play, along with a personal Survivor theme for players' multiplayer campsite. And Ultimate Edition lets players rank up faster online, giving them a slight boost up to rank 25. Just like Red Dead Redemption 2: Special Edition, all Ultimate Edition pre-orders can be made through the PlayStation Store, the Xbox Store, or the Rockstar Warehouse. Both the PlayStation 4 and Xbox One version are available for $99.99. 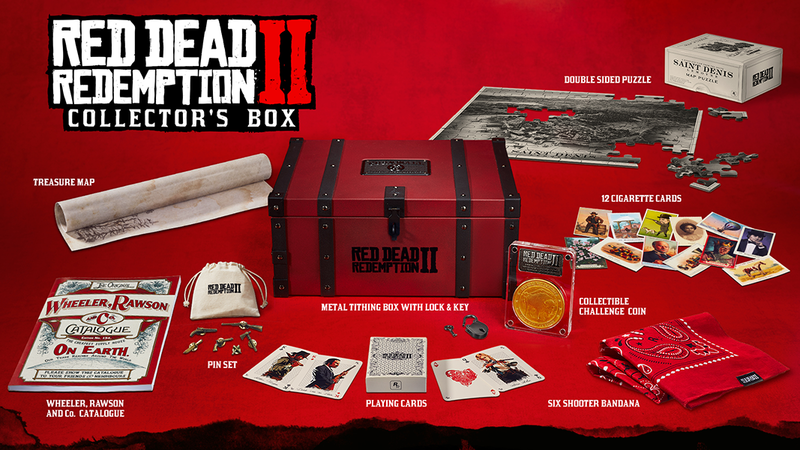 Lastly, Red Dead Redemption 2 also features a special Collector's Box that comes with merchandise referencing various items and locations from Red Dead Redemption 2. Unlike the game's various deluxe editions, the Collector's Box doesn't include Red Dead Redemption 2. Rather, it features goodies that can be picked up alongside the game. Red Dead Redemption 2's Collector's Box is available for pre-order through the Rockstar Warehouse, and Rockstar Games teases that the collection will also be "available from select retailers" in the future. The Collector's Box retail for $99.99, making it an expensive bonus offer for fans. Where to Pre-Order Red Dead Redemption 2? While pre-order discounts remain slim for Red Dead Redemption 2, there's a few retailers worth focusing on if you're eager to save some money on your purchase. In particular, all Amazon Prime users receive a 20 percent discount on pre-orders. Red Dead Redemption 2's pre-orders are already live on Amazon's store, so Prime shoppers can save over $11 on the game's standard edition alone. On the other hand, Best Buy shoppers that still have a Gamers Club Unlocked membership can still receive 20 percent of new games and pre-orders as well, even though the electronics giant is reportedly phasing out the program. So for any Best Buy GCU shoppers still trying to make the most out of their membership, go ahead and pre-order Red Dead Redemption 2 while you can still claim your perks.